The first Grand Prix of 2019 is in the books and the form guide from pre-season testing was thoroughly thrown out the window. Ferrari was the team to beat we all said, and there was very little to suggest otherwise based on what Mercedes was saying and how the two cars appeared in Barcelona. Now, it has all changed, after the Brackley-based team stormed to one-two finishes in qualifying and the race, while Sebastian Vettel and Charles Leclerc finished almost a minute behind in fourth and fifth on Sunday. While I was as surprised as anyone to see just how strong Mercedes was, Ferrari's woes were predictable after one sentence from Seb. “I haven’t got the balance yet that maybe I would like to have in the lower speed [corners], and not the confidence and trust which again around here can make a big difference,” he said after qualifying. That admission would immediately cause a flashback to one statistic from testing. 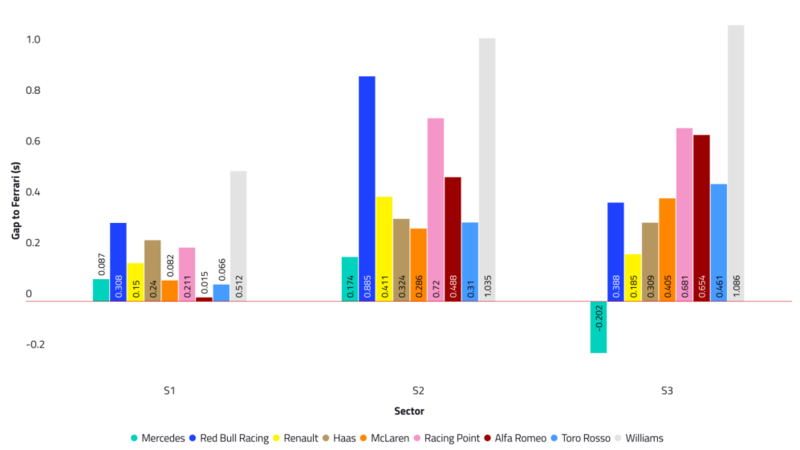 While the SF90 appeared stronger almost everywhere, in fact, in the technical Sector 3, Hamilton had a 0.2s advantage over Vettel. The speed of the Ferrari in the medium and high-speed, of which there is more in Catalunya, hid that, plus, as we now know, Mercedes was holding a little bit back because damn you Toto Wolff. This would also explain the tyre problems that impacted Vettel in the race. Albert Park is a low-grip track with many traction zones and, with less grip at low-speed, the result was always likely to be higher rear tyre degradation. There is more to the story too, in qualifying, Mercedes appear to have a better 'party mode' than the Prancing Horse, with Hamilton often pulling ahead down the straights. In heavy braking zones, of which there was only one in Barcelona, Vettel also notably falls back both at Turn 3 and Turn 10 on his fast lap in Q3 in Melbourne. In the race, Max Verstappen, in a Red Bull which is traditionally better under braking, was able to close up into Turn 1 and pass easily at Turn 3 too. For those hoping Australia was a one-off, the situation in Bahrain could be even worse. While the desert venue has typically suited Ferrari in recent years, it is one of the most rear-limited tracks on the calendar with multiple long straights into slow-speed turns. Perhaps the only saving grace could be the use of harder tyres compounds, which the Italian team largely concentrated on pre-season. But the realisation has dawned of the challenge that faces Ferrari, and now they must respond quickly to stop Mercedes from building an early advantage in the championship standings.